Communication when off-road is key to safety and fun. The most popular method of trail communications has to be the CB radio. Available at almost every discount department store, a CB radio setup provides good vehicle to vehicle coverage while on the trail. 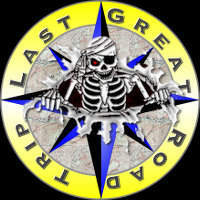 On outings with many off-road clubs, a CB is mandatory if you plan to participate in a club-sponsored ride. If you ask Hula Betty, she will tell you there is one universal truth about me… No matter what, and I really mean it, no matter what, I will forget one thing when I go on an off-road adventure. And for a while the one thing was a CB antenna which meant I would have to stop along the way and pick one up. On the good side this has given me a nice collection of CB antennas and an opportunity to try them all out. If they all do essentially the same thing is there a difference in CB antennas you ask. CB antennas come in various sizes, flexibility and with different methods of fine tuning their efficiency. A CB radio can broadcast for miles but it is based on line of site. For this reason we use a four foot antenna which mounted on our rear door hinge stands above the roof and any stuff packed in the roof rack giving it a clear view of the horizon in every direction. SWR (standing wave ratio), is a measurement of how efficiently your antenna system will radiate the power available from your radio. In simple terms, your radio would like to radiate all of its power, but can only do so if the other components cooperate. Bad coax and mounts, inefficient ground plane or poorly tuned antenna can cause system backups. 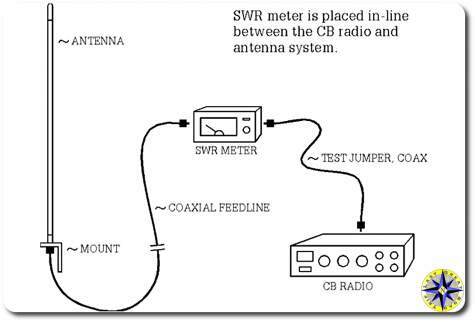 CB antennas need to be tuned to be as efficient as possible and by setting your antenna’s SWR you reduce the restriction of radiated power. The easiest way to understand the concept is to think of it in terms of water flow. That is, if you put a nozzle on the end of a fire hose, your potential output will be restricted by the outlet and water pressure backs up into the pump. 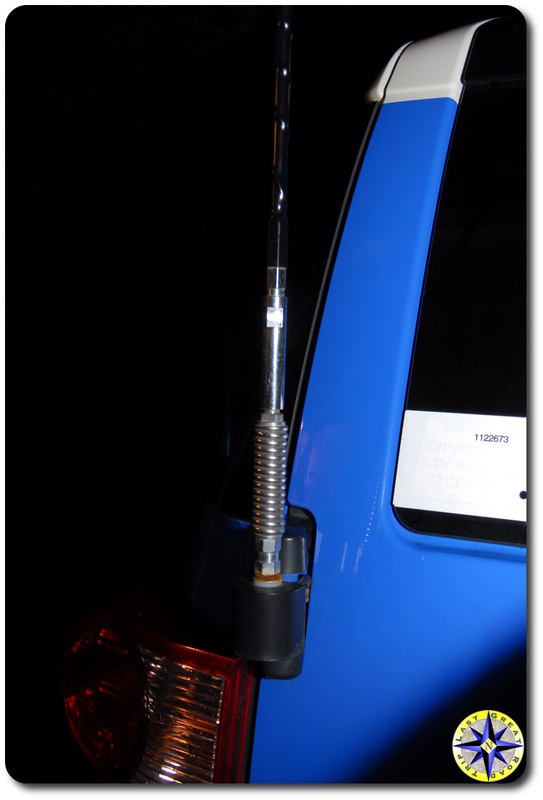 Tuning your antenna opens the nozzle to full. Poorly tuned antennas restrict the flow of the output frequency and can cause damage by backing up all that power into the CB radio. If all radios only transmitted on one channel, it would be a much easier task to design antennas. As it is, there are 40 CB channels to contend with. 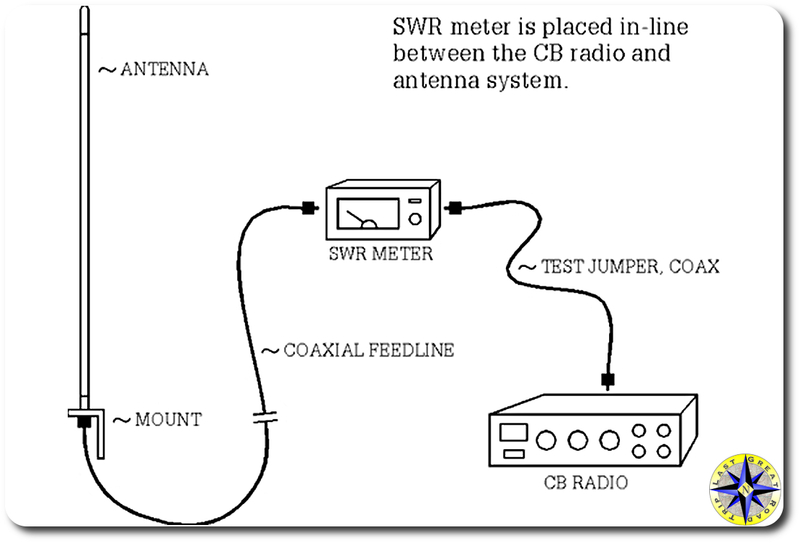 CB antennas can only be made to resonate at one specific frequency (channel). The goal of the antenna manufacturers is to build the antenna to resonate at a frequency in the middle of the band (channel 19) and make it broad- banded enough to keep the other frequency’s related SWR at the two extreme ends (channel 1 and Channel 40) of the band below 2.0:1. Since each radio system is unique, the final tuning is left to you. 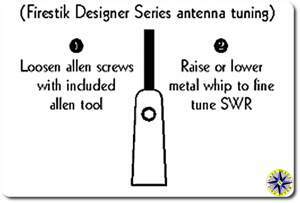 How you go about fine tuning your antenna varies slightly. 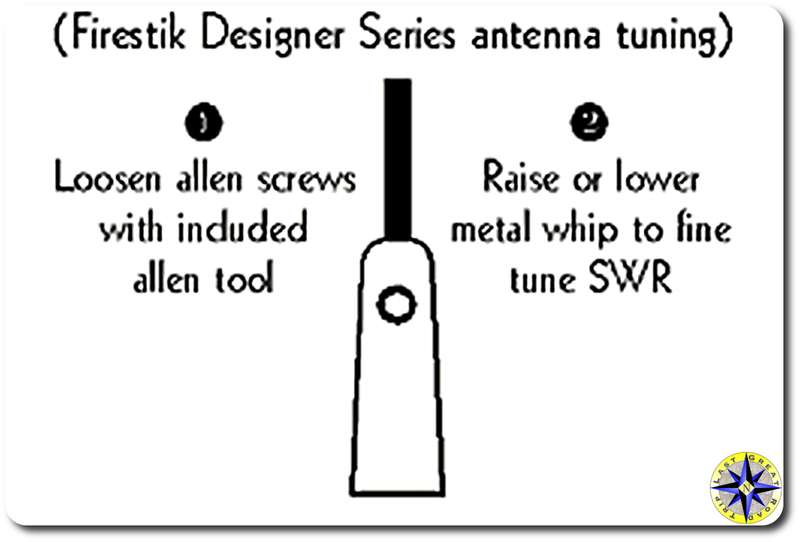 The three models of antenna we now have, are all four feet long with adjustable tips. Because the antennas stick up high, they run into low branches, overhangs and ferry boat cross beams. 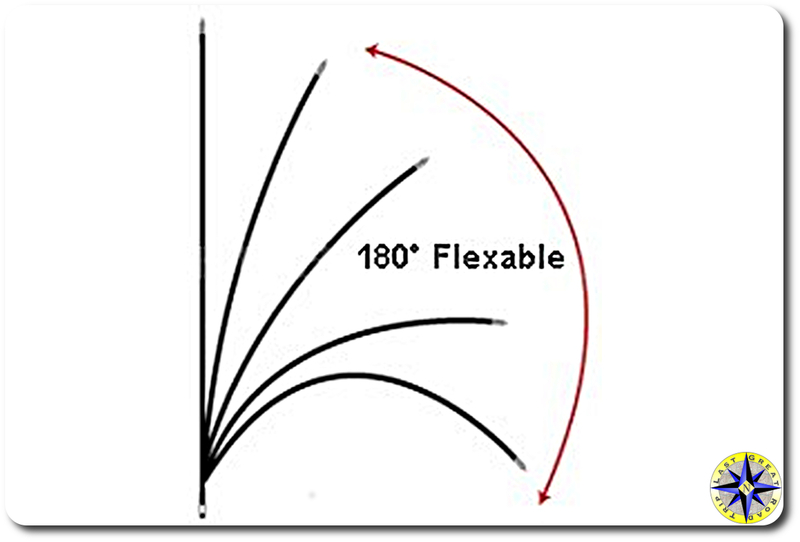 The Wilson flex-4 is designed to bend when it encounters solid objects. In fact it can double back without cracking or breaking. The K40 and Firestik requires a spring base that allows the antenna to fold back instead of splintering the fiberglass. When properly adjusted they all broadcast and receive radio signals well. But here is where they seem to differ the most to us. The K40 requires a small allen to make adjustments. The Flex-4 requires a small screw driver for adjustments. 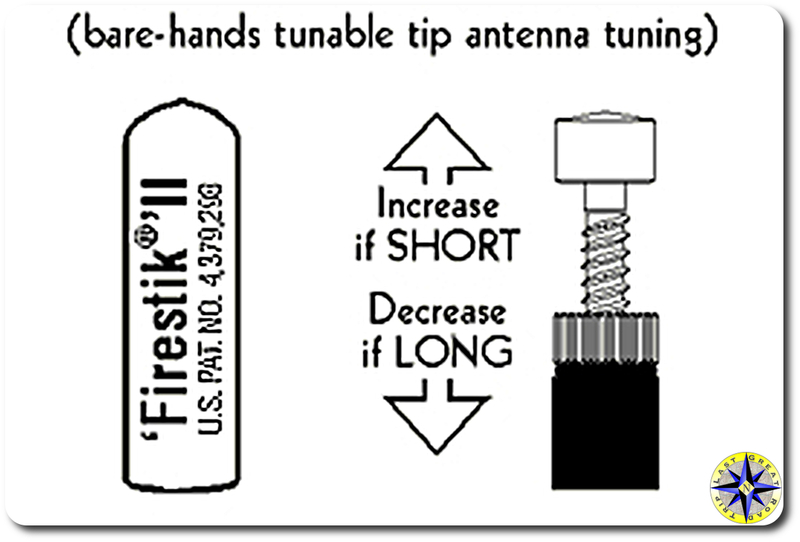 The Firestik uses a turn screw that can be adjusted by hand. 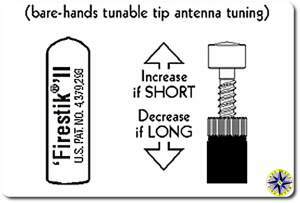 Once you have your antenna dialed in for your CB radio you should not have to worry about it again. So how do you fine tune you’re CB antenna? You need a SWR meter, which you can pick up from Radio Shack. You may want to check with your local 4×4 club to see if anyone there has a SWR meter you can borrow. If the SWR on channel 40 is higher than that on channel 1, your antenna is too long. If the SWR on channel 1 is higher than that on channel 40, your antenna is too short. Start by finding a suitable location to park your rig. 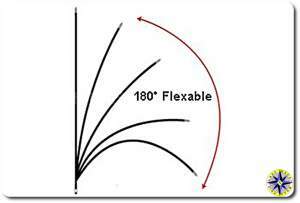 There should be no obstructions, such as trees or buildings, within 10-15 meters of your antenna. Make sure that you’re inside the rig with the doors and windows closed to ensure an accurate reading. It is important to have your antenna properly grounded to your rig or it may not operate at all. IN GENERAL HERE IS HOW YOU FINE TUNE YOUR ANTENNA (follow the directions for your specific SWR meter). Hook up the SWR meter. Disconnect the coaxial cable from the back of the radio. Reconnect this end of the cable, which leads back to the antenna, to the SWR meter in the slot marked “antenna” or something like that. Use the jumper lead and connect your radio and the SWR meter through the connection marked “transmitter”or something like that. You are placing the meter between the CB and the antenna. Turn the radio the Channel 1 (40 on the second pass). Key the microphone (depress the button and hold it) but do not speak into the microphone. Turn the knob on the SWR meter labeled “CALABRATION” until the needle reaches the setting position at the end of its range. Set the function switch to “SWR”. Key the microphone again without speaking into the microphone. Quickly record the reading on your SWR meter and release the transmit key on your microphone. You are now going to repeat this process for channel 40. The objective behind tuning your antenna is to make these two readings identical or as close as possible. Getting down to a ratio between 1.5:1 and 2.0:1 will produce an excellent broadcast signal that will not harm your CB radio and broadcast clearly across all 40 CB channels. If you only communicate on one or two adjacent channels anywhere within the band, you can tune your antenna to achieve optimum performance on those channels. However, most people prefer to use the entire bandwidth when tuning. This procedure can sound a little cumbersome, but fine tuning your rig’s CB antenna only takes a few minutes and is vital in protecting your CB Radio and optimizing its performance . Each antenna manufacture claims they have power output improvements and other performance enhancements that set them apart. We found them all to operate the same on the trail when tuned correctly. Of course it could be our set up and this is not a scientific test by any means. Can you hear me now.